It’s almost that time again – for us, it means sweaters, pumpkin-spice-everything and costume photo-ops. For our nieces and nephews, it means costumes, ghost-hunting and a night full of candy. It's not wonder why Halloween is a favorite holiday! 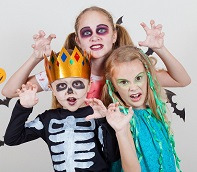 Why not get crafty this year with nieces and nephews and make it a Halloween to remember! 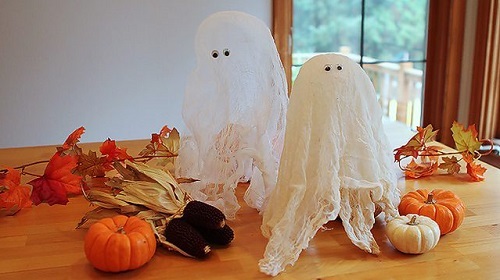 For this creepy little craft we spotted on ModernParentsMessyKids.com, you will need cheesecloth, googly eyes, fabric stiffener, a large bowl, balloons, a few cups or bottles to support the balloons, wax paper, tape and scissors. First, line up your bottles or cups over the wax paper. Secure the balloons to the top of them with tape. Drape your cheesecloth over the balloons and cut whatever length you desire. Remove the cheesecloth and let each piece soak in a bowl of fabric stiffener. Place the cheesecloth back over the balloons and let it dry for at least six hours. Remove the cloth and secure the googly eyes, and behold an adorable little display of ghosts that you and your niece or nephew can be proud of! It doesn’t get any easier than this cool craft from TheSwellDesigner.com, and can even combine two activities into one! Take your niece or nephew out to a pumpkin farm and gather some white pumpkins. After that, you will only need a box of crayons, glue and a hair dryer. 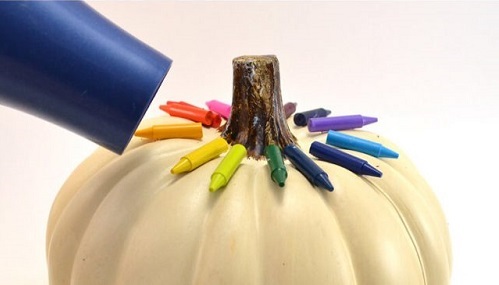 After you peel the paper off of the crayons, glue the crayons to the top of the pumpkin around the stem. Pass your little one the hair dryer and let them go to town! This is another simple craft, so it's not wonder we discovered it on HappyClipplings.com. All you need is an egg carton, googly eyes, black paint, a paint brush, glue and ribbon. First, cut out pieces of the egg carton into sets of three, then cut out the bottoms of the two outside cups to resemble bat wings. Paint them black and allow them to dry. Glue on the googly eyes and a ribbon to the top so that they can hang, and voila! 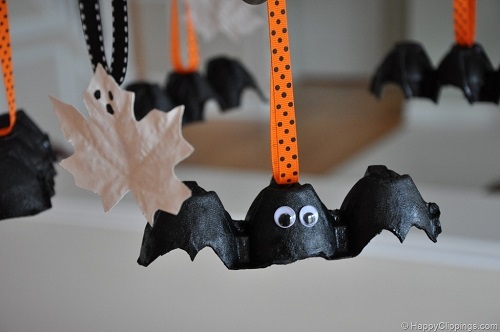 You have some cute little visitors hanging from your ceiling or chandelier! Home Activities Scary Cool Crafts!